Cedar Creek, a tributary of Wells Cr and Greasy Cr, provides cold water and quality spawning gravel resources. 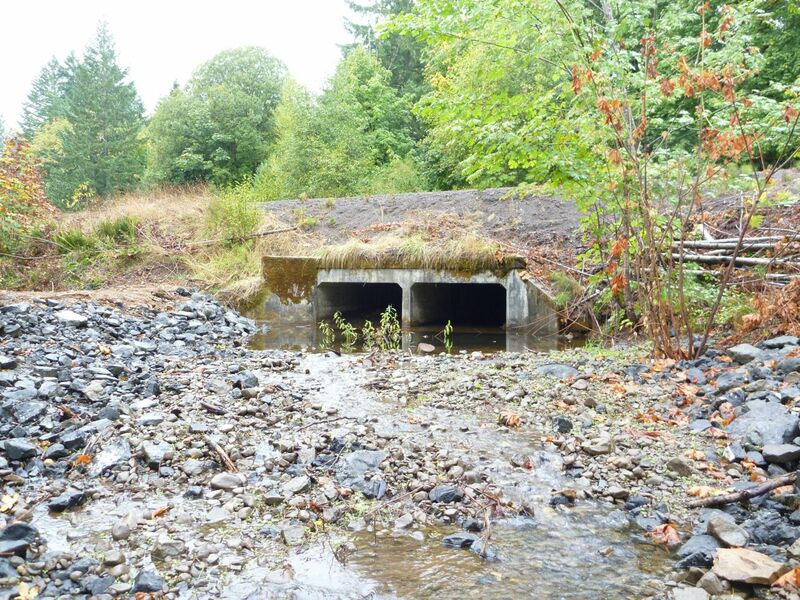 However, until 2012, these resources were not fully accessible to salmonids, lamprey and other aquatic life due to a two foot perch on the culvert on Highway 34. Because of the high cost of replacing the concrete box culvert, the Council pursued the alternative of constructing a graded rock riffle downstream of the culvert to bring the water level up to the pipe. The downstream landowner allowed the project to be constructed on their land and an adjacent landowner allowed equipment access across their land. In addition, the landowner upstream of the crossing cooperated with the Council to place four log structures on Cedar Creek to trap and sort spawning gravels and increase floodplain interaction on the low terraces. 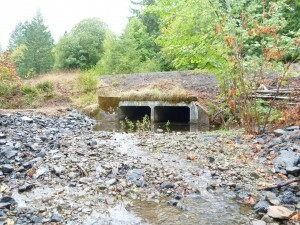 This project was supported by Oregon Watershed Enhancement Board and USFWS Finley Wildlife Refuge.